The Kindle app for Android is decent, but it will soon become even better. Amazon says a new 'Notification Center' will show up sometime in the next few weeks, as "a quick way to learn about new releases, receive deal alerts, reading insights, and more." 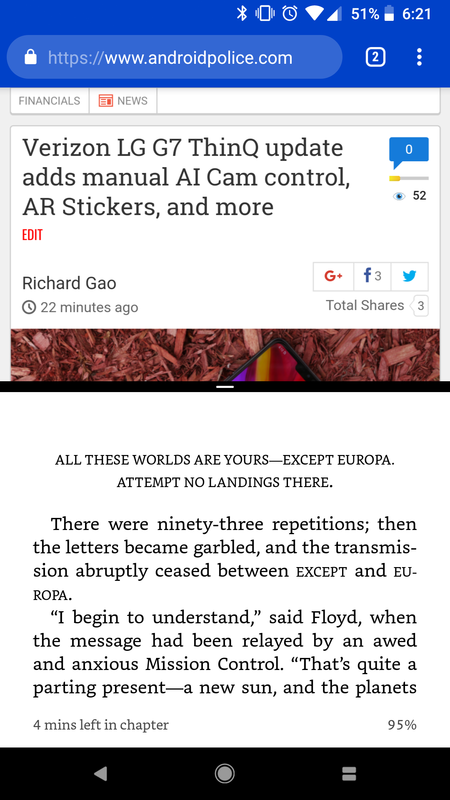 In the meantime, today's update adds support for split-screen reading. Split-screen mode first showed up in Android 7.0, so Amazon is a little late to the party, but better late than never. The update is rolling out now on the Play Store, but if you don't already have the Kindle app, you can download it from the widget below.